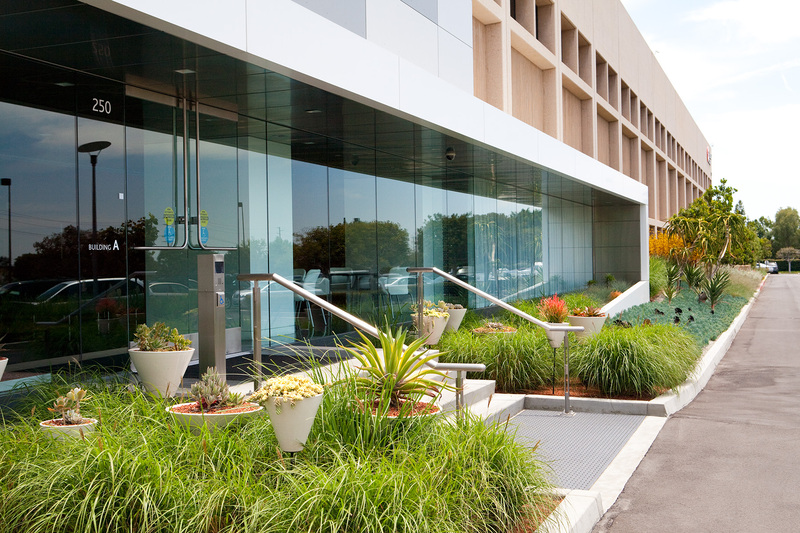 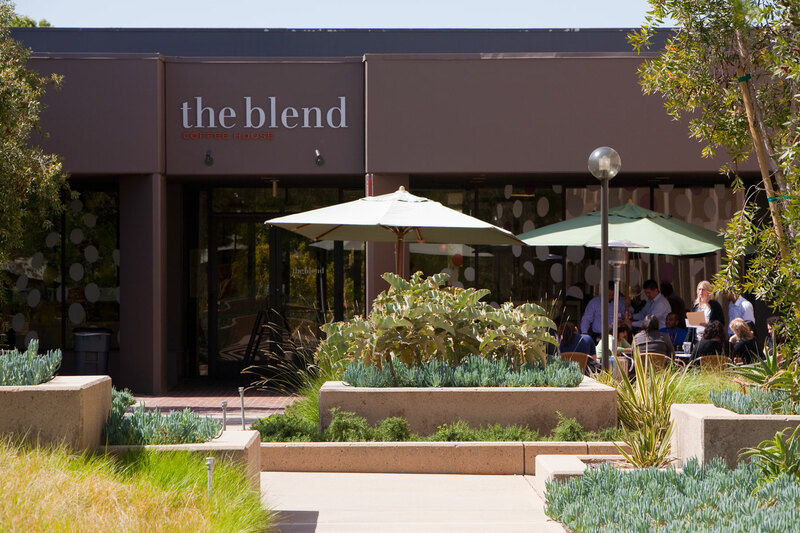 PB&Co regenerated and revitalized the office and research campus of Beckman Coulter, a leading biomedical research and clinical diagnostics company. 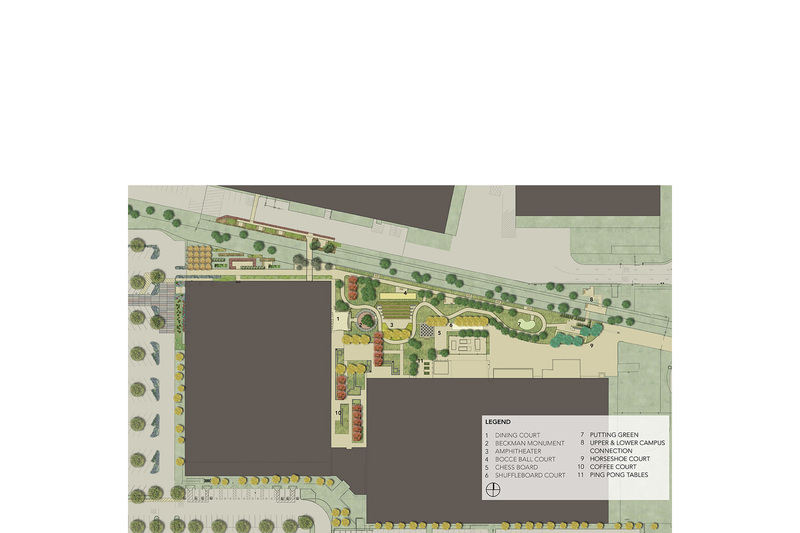 The project included development of a sustainable masterplan for the campus, located approximately forty minutes from downtown Los Angeles. 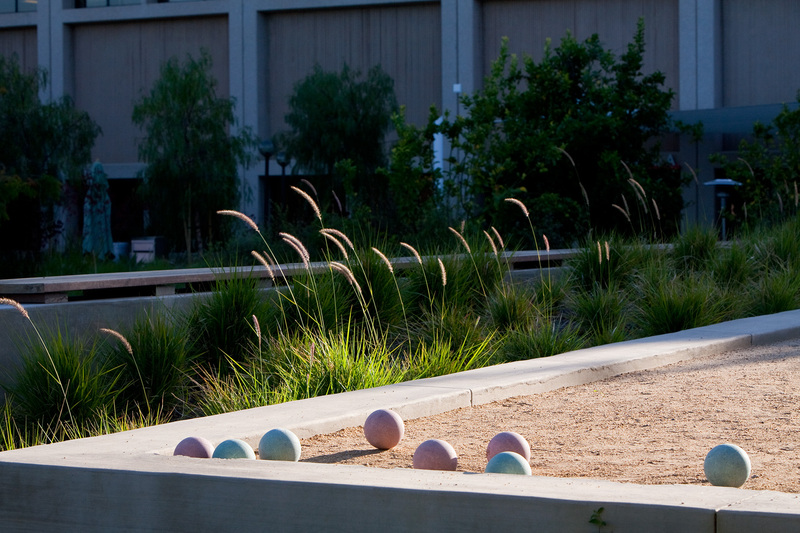 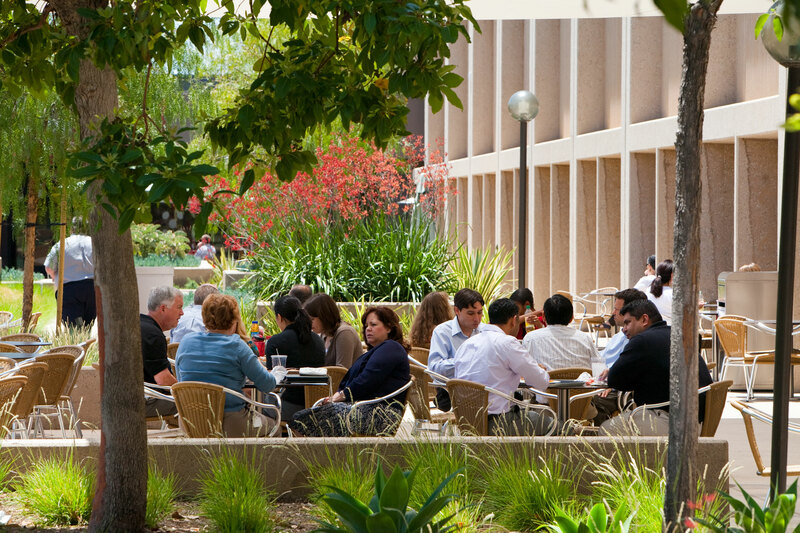 A park environment is the central focal point of campus and a gathering space for employees. 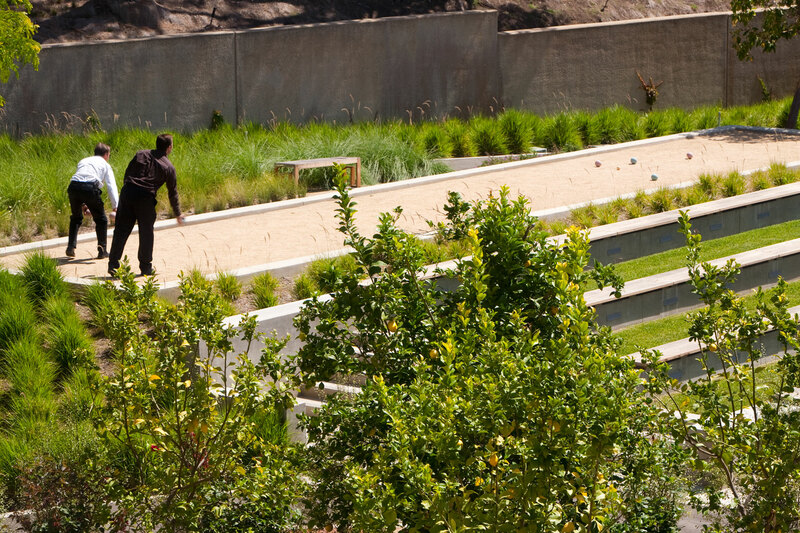 A secure meandering walk surrounding the park links five buildings with new formal and informal meeting and gathering and recreational spaces including a shuffleboard court, bocce court and putting green. 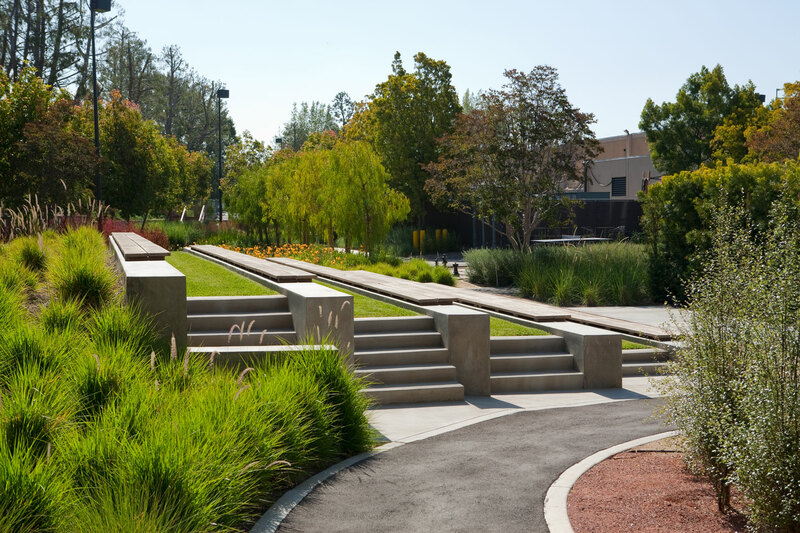 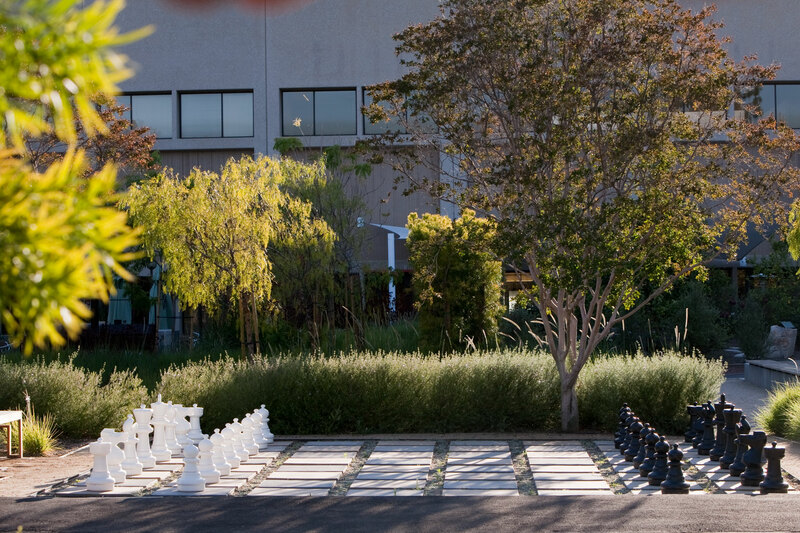 An adjacent outdoor amphitheater for large corporate events provides seating for over one hundred people, and two outdoor cafes were developed to foster employee interaction. 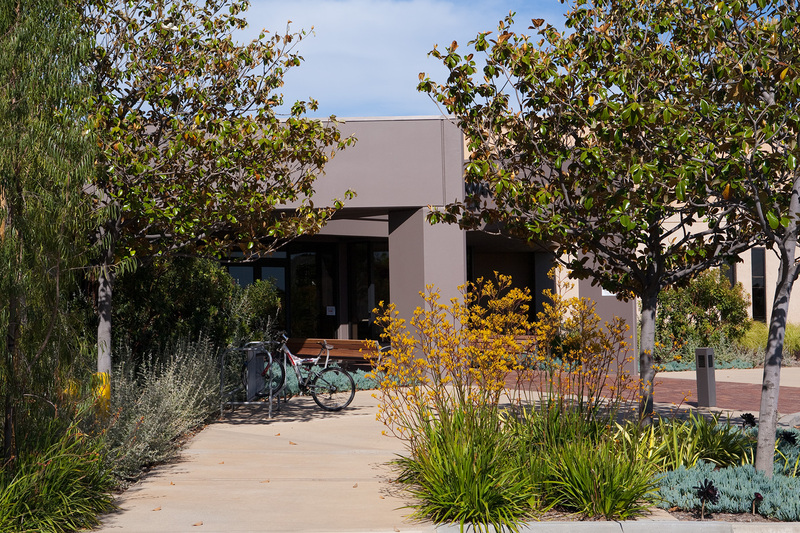 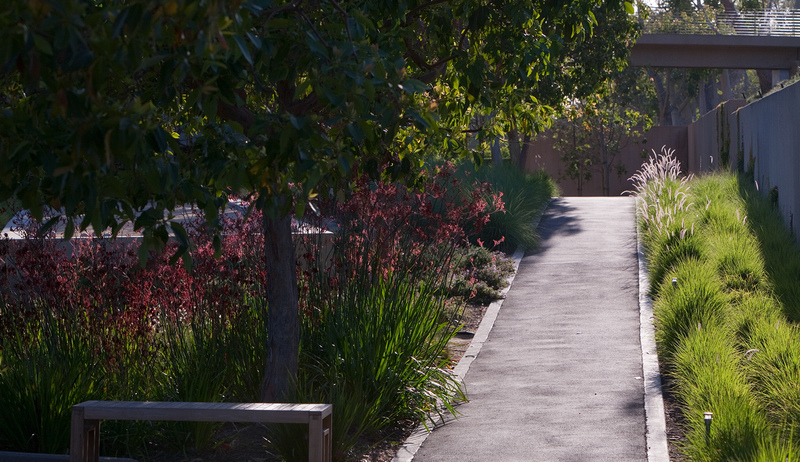 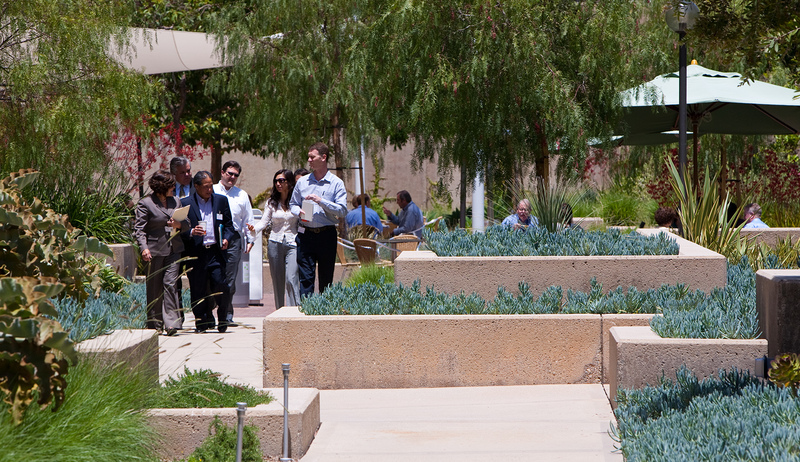 The goal of improving the quality of life for the employees was accomplished by providing access to a restorative landscape where employees can dine under the shade of trees and canopies, take a break to engage in light recreation, and stroll along paths bordered by lush planting. 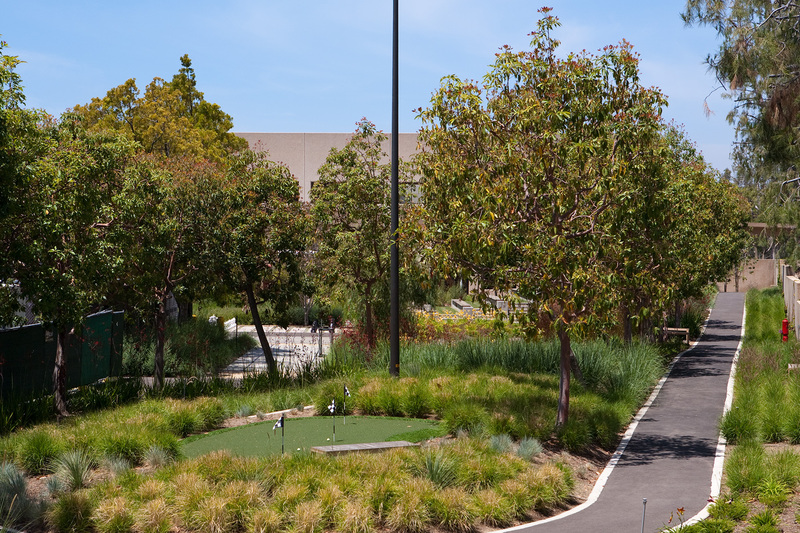 The project achieved a LEED Gold rating and reduced irrigation demands by 60%.